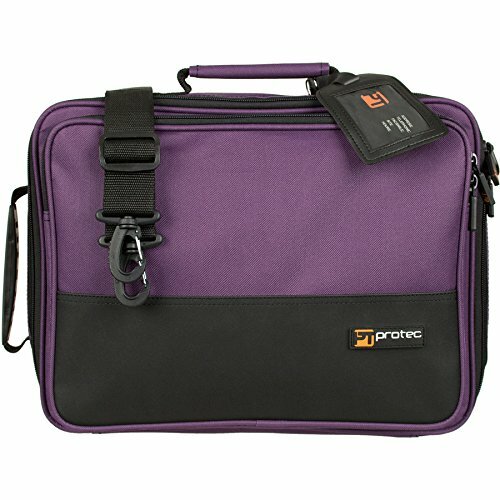 Protec's Deluxe Clarinet Case Cover keeps out unwanted cold and moisture, protects your case from bumps and scratches, and offers the benefits of a gig bag. 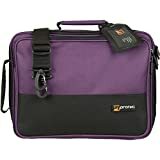 Features an extremely durable nylon exterior, large exterior sheet music pocket, 2 carry handles, long-lasting custom zippers, padded interior lined with soft nylex, removable shoulder strap with strong lightweight plastic hardware, I.D. tag, rubberized feet, and is back packable with Protec's optional backpack strap (model# BPSTRAP).